Help your cat lose weight! 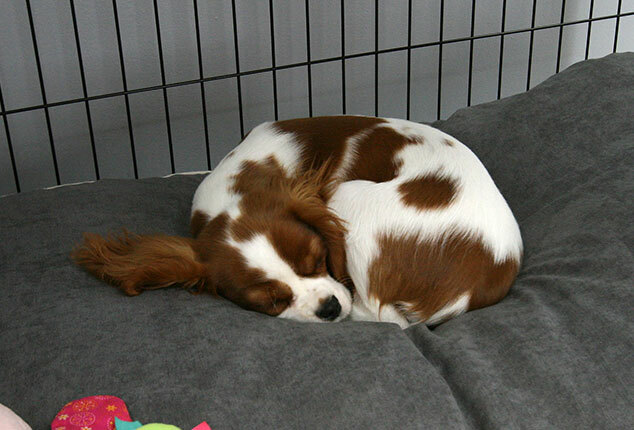 Did you know that it is becoming more and more common for our pets to become overweight. Overweight cats are at a greater risk of developing serious problems, like cardiac diseases, cancer, diabetes and arthritis. Obesity is normally caused by the cat’s sedentary lifestyle in combination with over-feeding and too many treats. Helping your overweight cat lose weight is the best thing you can do to improve their general well being and make sure they live a long and happy life! It is not always straightforward to tell if your cat is overweight, especially if they have long hair and are of a generally stockier breed, but a healthy cat should have a well-proportioned body with a defined waist and neck. You should be able to easily feel your cat’s ribs and hip bone, and it should have minimal abdominal fat. You can also do a search for ideal weight for the breed of cat you’ve got and compare it to the weight of your cat. If your cat is 15% over the normal weight it is seen as overweight. If you’re unsure about whether or not you need to put your cat on a diet you can always consult with your vet. It is generally always good to have a chat with your vet before you make any changes to your cat’s diet, as weight gain could actually be caused by an underlying health problem, rather than over-eating. Look for canned, high quality, meat-based, and highly digestible food to give your cat. 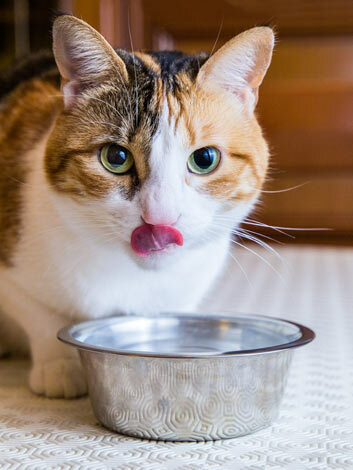 Canned or raw food contain a large percentage of water, which can help a cat feel full on fewer calories, and also allows you to control how much food you give your cat every day. Canned wet food is also better than dry food, as it does not allow the cat to nibble on food throughout the day and eating just for sake of eating rather than because they are hungry. Measure out how much food you’re going to give the cat in a day, and make sure you stick to it. Dividing the food into smaller and more frequent meals can help if you feel your cat is struggling with hunger, but keep track of what and how much you are giving them. If you’ve got more than one cat it might be worth trying to feed the overweight cat separately to stop him or her stealing food from the others. Get rid of all high-calorie treats and titbits, and make sure everyone in the family knows the rules! It might seem unfair to completely stop giving your cat treats, but the nicest thing you can do for them at this stage is to help them lose weight. Try substituting treats with a nice cuddle or a toy, as most cat will respond just as well to the attention. If you still feel like you want to treat your cat with something edible, look for low-calorie treats in your local pet shop, or give the cat healthy nibbles, like a piece of broccoli or green beans. Weight loss should be done slowly and steadily to reduce the risk of several health issues, like fatty liver disease. The cat should not lose more than 3-4% of their total body weight per month. If you are changing the cat’s diet, make sure you do this gradually to not upset the stomach. Substitute more and more of the old food with your new, healthier choice every day, or reduce the amount of food little bit little, until you have reached the desirable level. 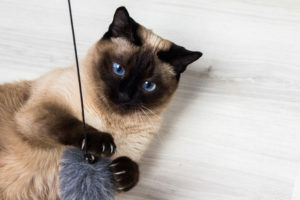 Introducing new toys and games into your cat’s life can not only decrease boredom, help cats bond with each other and their owners, and improve agility and coordination, but will also help your cat lose weight. The increased movement will burn calories, and take the cat’s mind off eating. 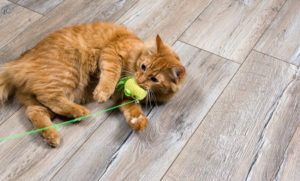 Try to find out what types of toys your cat likes, and switch them around every now and then to make sure the cat doesn’t get bored. Different cats like different toys, but feathers and catnip-infused toys will be a hit with most! Make up games that forces the cat to move around and use their whole body, like searching for hidden things or chasing toys. Although some cats absolutely hate going for a walk on a leash, others will really enjoy it, as they get fresh air and are able to spend time with their favourite human. Let the cat get used to the harness at home, and start with a short walk in the garden or around the block. If that works you can increase the distance gradually. Don’t worry if it proves a real challenge – some cats will never accept the leash, and you should not force them, but if you’re able to take the cat for a walk once a day it can be a great way of exercising (for both you and your cat). Depending on what food you are giving your cat as part of his or her new diet, they might not be getting enough of the nutrients they need to stay healthy and active. Check the new feeding routine with your vet, and they can recommend supplements that might be good for your cat, such as Omega 3 or multivitamins. 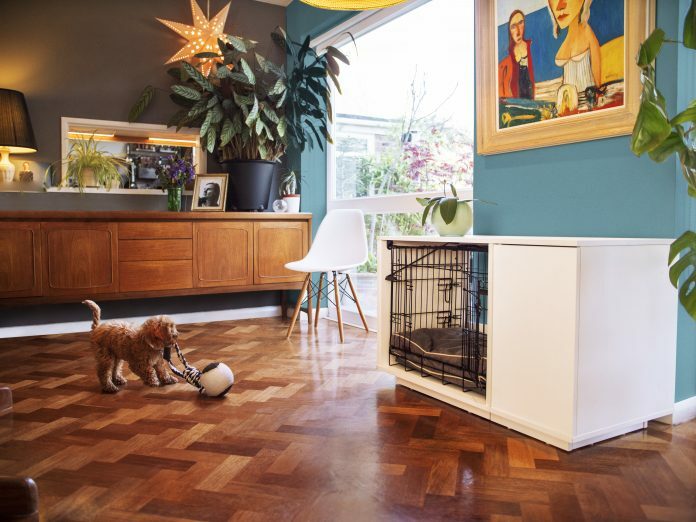 You want to make sure that your cats are encouraged to move around in the home even when you’re not there to play with them. 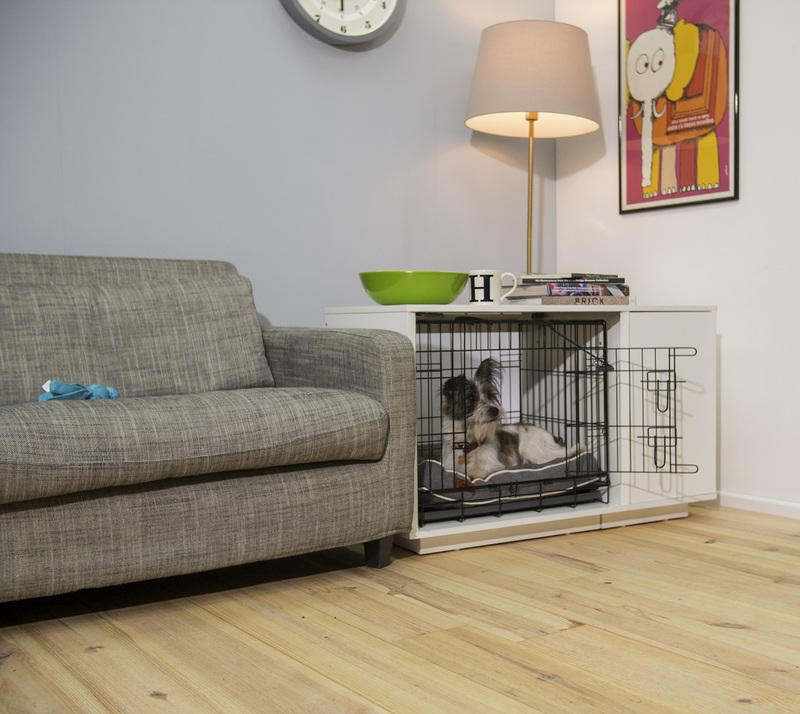 Give them scratching trees, climbing posts and stimulating toys, both to prevent boredom and make sure they stay active. If you’ve got an indoor cat, you might want to consider giving your cats the possibility to play outside in a run. This is not so much a tip as a general thing to think about. Overweight cats can sometimes struggle to keep their fur nice and tidy, as they might not have the mobility to reach everywhere. While you’re helping your cat lose weight, make sure to stay on top of grooming!